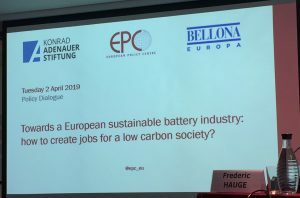 On Tuesday 2nd of April, Bellona co-organised an event on ‘Sustainable Battery production in Europe’, with the European Policy Centre and the Konrad Adenauer Stiftung. 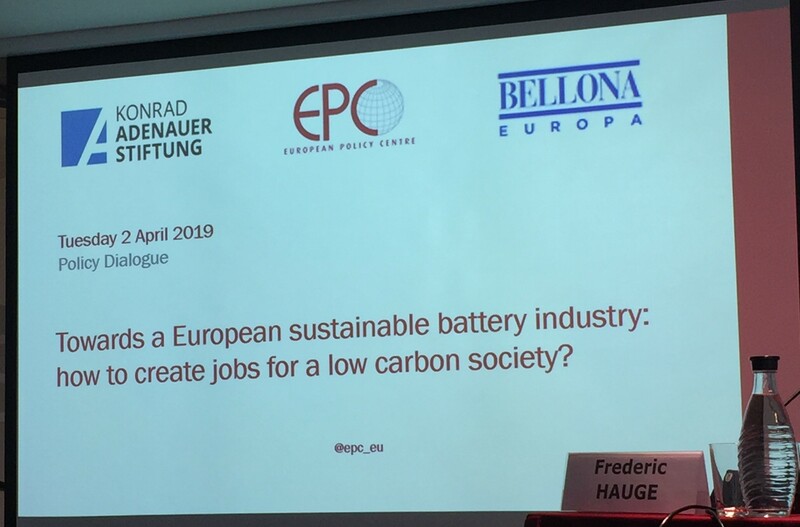 On Tuesday 2nd of April, Bellona co-organised an event on ‘Sustainable Battery production in Europe’, with the European Policy Centre and the Konrad Adenauer Stiftung. Bellona’s founder, Frederic Hauge, was on the panel and emphasised the pace of the shift to electric mobility happening in Norway. 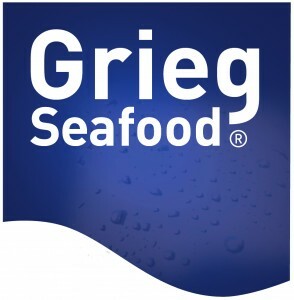 Citing Bellona’s projects on the electrification of ships, construction machinery, and Norway’s record-breaking EV sales, Hauge made the point that all battery types and technologies will have a market in the years to come and that the EU should quickly step up its work in developing a regional battery industry. 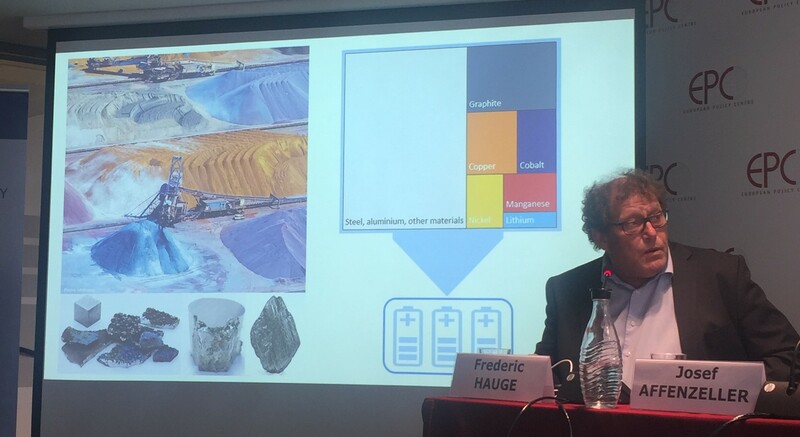 Hauge also stated that given Europe has fallen behind in mining, it should start recycling its materials as opposed to exporting them as waste; it is technically possible to recover around 85% of the material inside a battery. 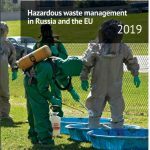 Hauge mentioned the importance of reusing batteries, although existing plans to do so have been complicated by the unexpectedly long life of the current generation of batteries. Nevertheless, there are plenty of uses for batteries in their second-life. One such possibility is to take out old cells from electric ship and replace them with newer cells, keeping the old ones to store energy at the docking site, helping to reduce grid costs. 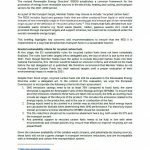 Hauge outlined the potential of newer battery chemistries, such as Lithium-Sulfur, which has a much higher capacity but requires a stable cathode, which BEBA is working on. 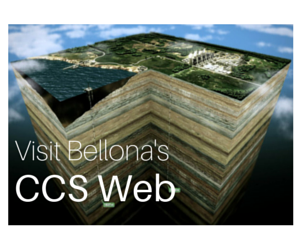 He suggested that these batteries would not replace Lithium-Ion batteries but provide energy storage opportunities for other sectors such as shipping and aviation. Hauge finished his intervention by reminding the audience that Norway’s youth have been most exposed to the benefits of batteries, with fully electric vehicles now outselling their conventional counterparts. Pointing to the country’s infamous ‘oil fund’, Hauge hoped that Norway would safeguard its future by investing in batteries as opposed to sticking to its oil addiction. A longer event summary will be available in the coming days.